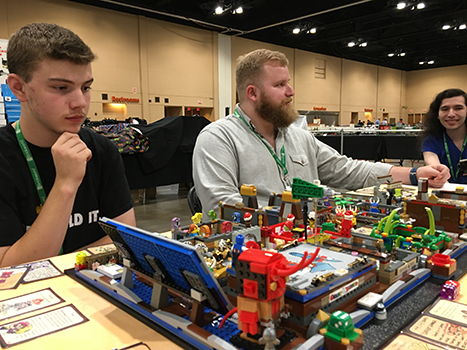 Daily Illuminator: Munchkin At Brickworld 2018! 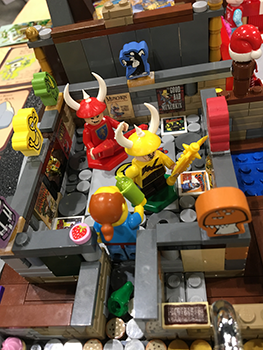 June 30, 2018: Munchkin At Brickworld 2018! 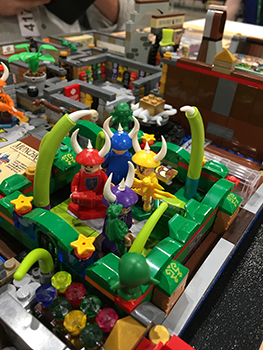 In what has become a yearly tradition, the Munchkin LEGO board made its annual appearance at Brickworld in Chicago. 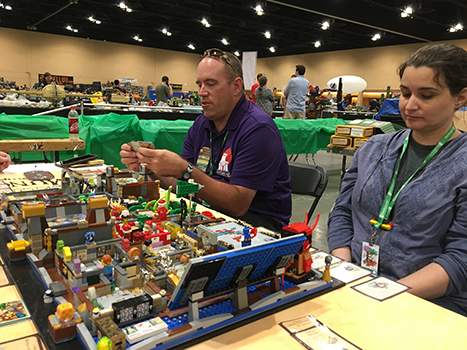 High bidders in the auction got a chance to play in one of four available seats against SJ Games Events Director Guy "friend to all Tentacles" Himber (check out his latest issue of BrickJournal where he revisits the retro-awesome world of Steampunk and LEGO!). 1. 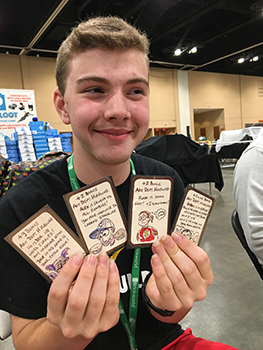 A reappearance of the card The Last Laugh occurred early in the game (fans may recall that Steve Jackson himself won with this card at the event three years ago). 3. Crowded in the Cthulhu room; be wary of tentacles and insanity. 4. The game store level: "None shall pass!" 5. It looked like Guy might take the win, having stolen, thieved, and stolen some more to position himself for it. But our champion had a trick up her sleeve – she played Billiard Ball of Nonexistence to kill her character (What? Why would she do that!?!) and then slyly sweep in for the win with her Last Laugh card from earlier in the game (Ahhh). 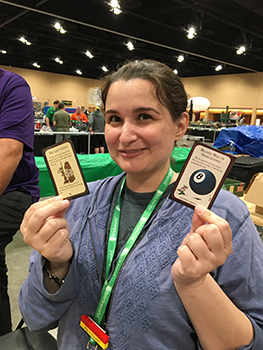 It was a Munchkin-worthy victory that would have made Spyke and Flower proud. 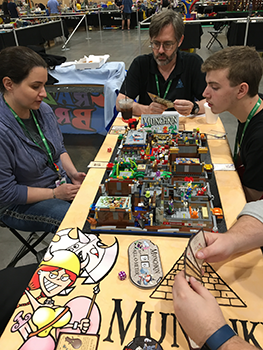 Everyone got a Munchkin Special Delivery box full of loot, with the champ also receiving a Munchkin Santa-Sized Holiday Grab Box packed with SWAG, games, and rare treasures.